My internal anxiety issues have largely diminished in the last couple years, but one situation comes up regularly that inevitably riles me up with nerves. Introducing myself to a group of people. I love going to networking events, writers’ workshops and meetups. Every time leading up to one of these, I get excited about who I’ll meet and what I’ll learn. But in the pre-meeting anticipation, I often forget about the upcoming 30 seconds when the room will get quiet and it will be my turn to tell people who I am. The time comes. Panic sets in. My heart races. What am I going to say?! 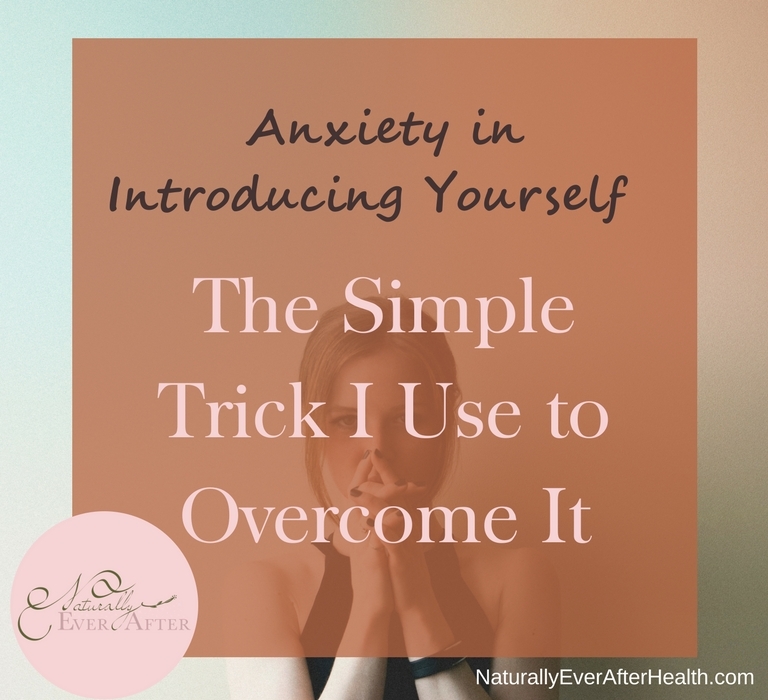 Do you have anxiety about introducing yourself in groups? Or even to one new person? If so, keep reading – I’m going to share the trick I use when introducing myself and speaking in public. It never fails me – that is, when I can calm down enough to call on it! I love hearing people excitedly talk about what they do and seeing their passion come through. I absolutely love what I do, too, though talking about it in the spotlight freaks me out. But I need to get comfortable introducing myself because I’ll be doing it my whole life. I truly want to be one of those contagiously enthusiastic people who radiates confidence. Too often my nerves and self-doubt get me down before I speak. Alright, Lady. These people have to listen to me talk. There’s no way out of it for them. You might as well make it entertaining and not at all painful or boring for them to listen to. Now, don’t let me fool you – I’m no comedian or one-woman act. But when I remind myself to make my little monologue enjoyable for them, I seem to let go of the shakes in my voice and my heartbeat beats with more excitement than fear. It allows me to separate myself from my anxiety and embrace a more positive kind of energy. I get more animated and cheesy, which truly is authentic to who I am. I add some kind of flair, personal element or joke to it instead of making it all so professional. And almost always, those things can draw out some chuckles and smiles! I realized how helpful this mindset trick is for me – and how long I’ve been using it – just in the last few weeks after moving to Arizona. I’ve gone to two networking groups, and at both, this very situation came up where I had to sell myself. At one of the events, I rocked my introduction. I stood up, portrayed excitement, added some personal character and felt that I nailed it. I botched the other one. I stayed seated, my voice was quiet and shaky, and I don’t think I smiled much. My nerves were evident, my confidence was nowhere to be found. In both cases, I was too in my head. The difference was the message going between my ears – one being the trick that cultivated confidence and fearlessness, the other being more negative and focusing too much on comparison, trying to prove something. This event where I nailed my introduction wasn’t the first time I’ve used the trick, however. 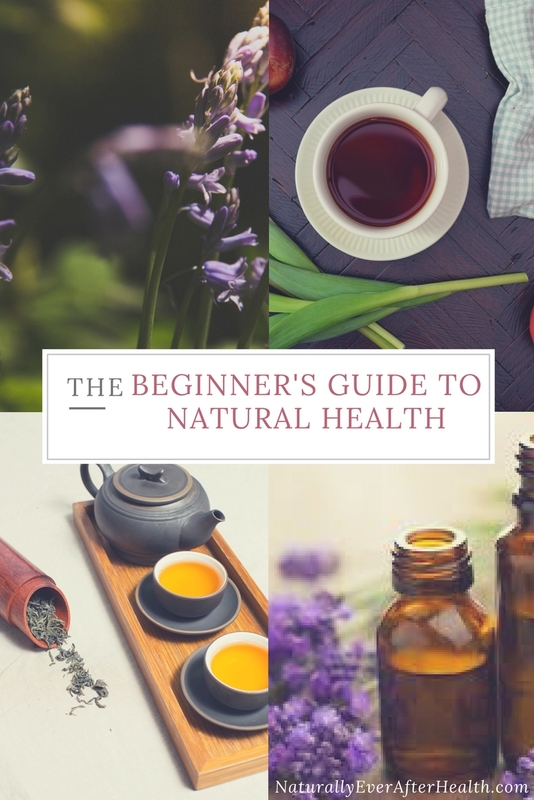 It has helped me deliver solo essential oils classes, create video pitches for my job, even get through my senior presentation for my English degree at St. Ambrose University. In the last instance, I thought about how I could make a presentation about Macbeth not awful and painful for an audience of supportive friends, family members, and faculty to sit through. Surprisingly, I rocked that 20-minute talk. I made subtle jokes about the hot actor I saw play Macbeth in England; I wore an outfit that made me feel Macbeth-ish (aka dark and murderous, but confident nonetheless!). I embraced it and refused to be boring or worse (in my opinion), embarrassingly nervous. That kind of mental prep never fails me, but calming myself down enough to call on it is the hard part. This topic is a big one for me. 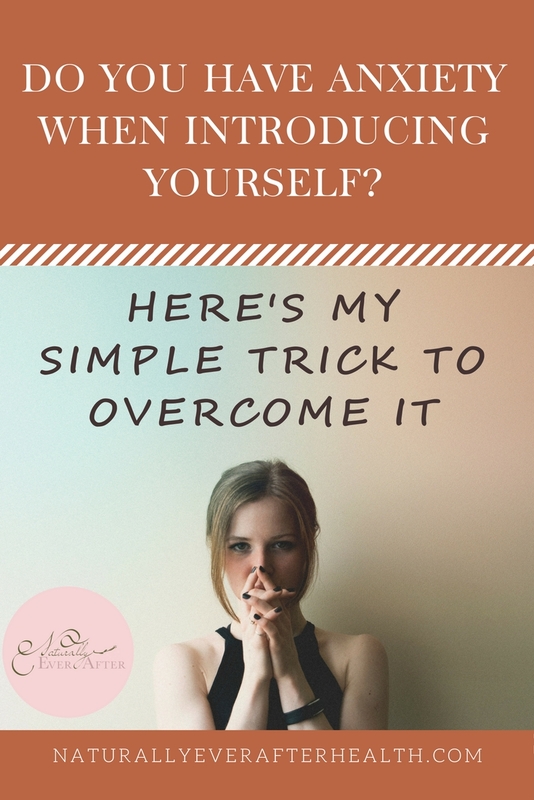 I struggle with it constantly, but the confidence I get when I nail my intro is liberating. 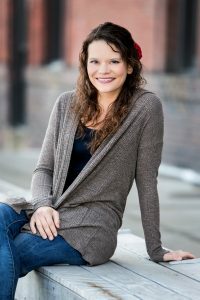 I know I’m not the only one with this fear, so I want to share everything that works for me in hopes to help you overcome talking in groups as well. But there’s a lot to unravel here. So, look for more posts on this topic to come over the next couple weeks. Be sure to subscribe to my email list (link below!) so you don’t miss the next post on How to Calm Your Nerves Before Public Speaking. Until then, let me know what you think of this trick. Have you tried something like this? Do you see it working for you? Have any questions about it? Leave a comment below or take the discussion over to my Facebook Page, and let’s chat! What I is to focus one person that I feel really needs to hear what I have to say,and mentally block the other people. As I get going,! I allow the rest of the people. Making eye contact also helps me. The timing and phrasing of it all is important . Thanks Barbie! That’s a really helpful tip. I love the eye contact, that’s always hard for me when I’m speaking.